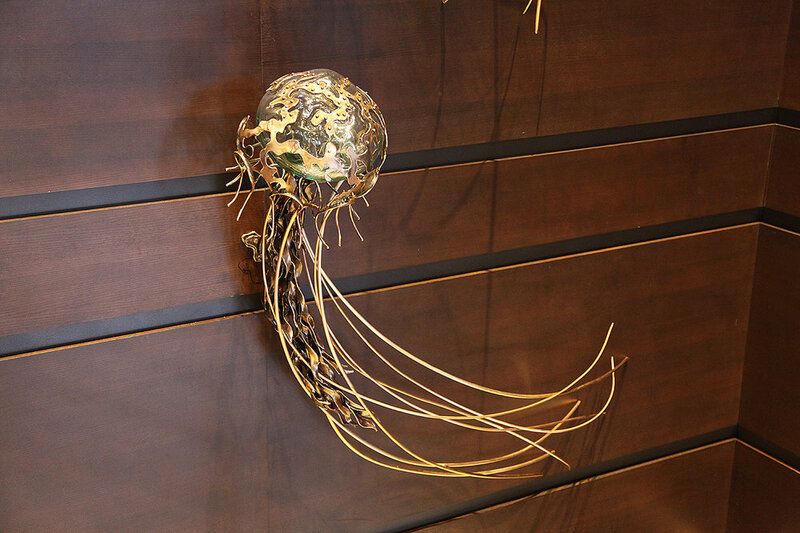 The Jellyfish or otherwise known as Jellies are softbodied, free-swimming aquatic animals that have roamed the seas for 500 million years or more. 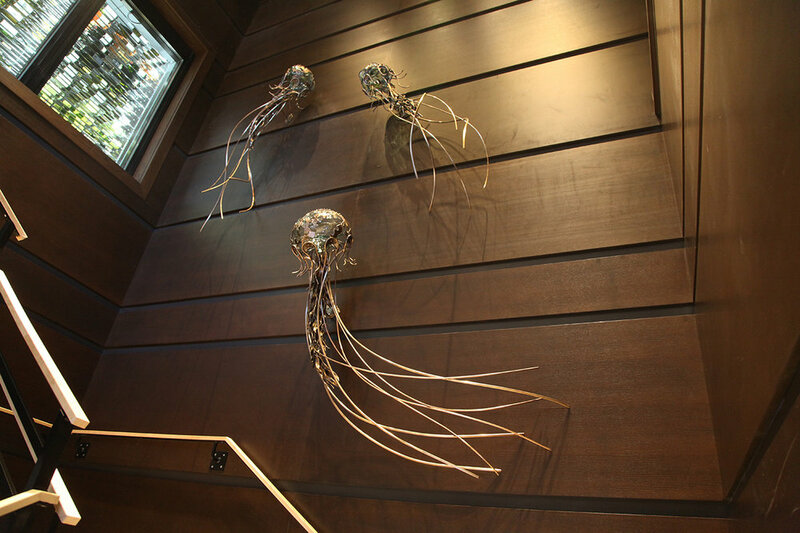 Let ours roam about in your living room, outdoor space or entry way. These translucent blue/green jellies have blown glass inside the umbrella-shaped bell. 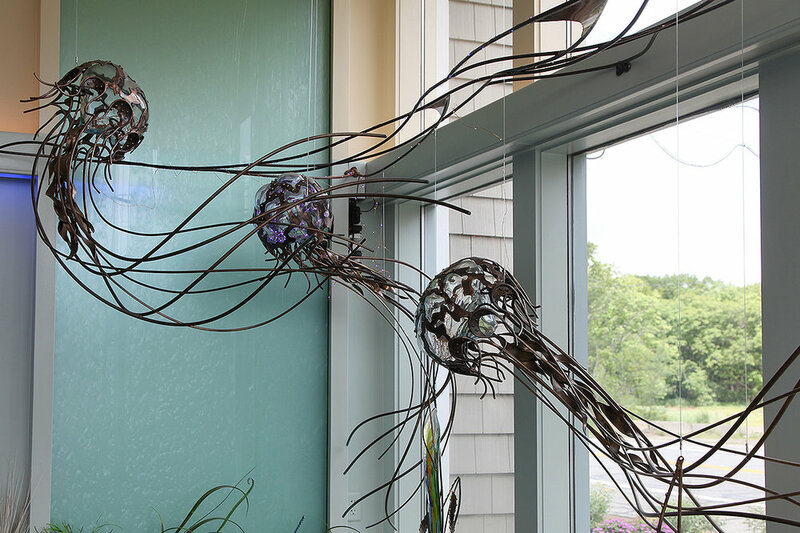 The trailing tentacles fabricated in bronze give our jellies the fluidness as if swimming in the ocean. 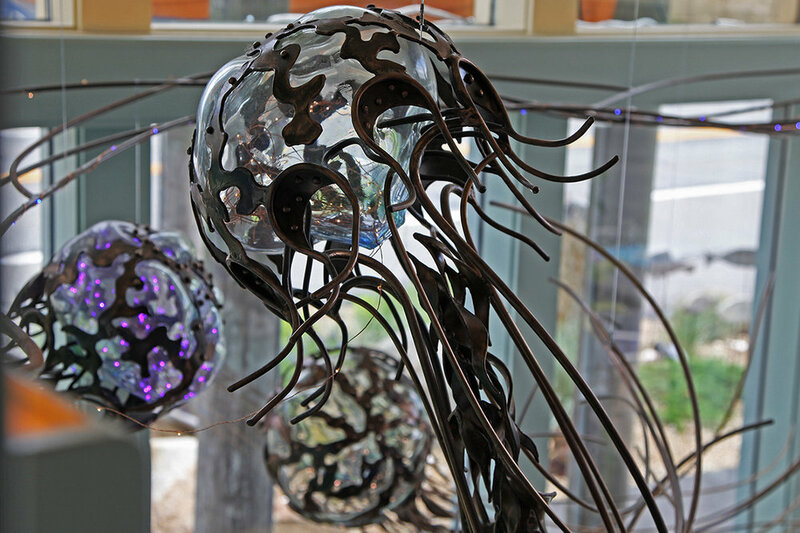 Tiny lights inside the jellyfish add sparkle to these sea creatures.